I would first like to announce that I have been working with a designer/stager who is just amazing! Please come and see the top-notch product that we have produced. We are having an open house on Wednesday May 20th 11-1pm or on the weekend May 23rd/24th Saturday/Sunday 2-4 pm to appreciate the amazing work done here. Perhaps you know of a family member, friend or colleague who might be interested in this Toronto home in the beach. If you're interested in arranging a personal viewing, please don't hesitate to contact me. I'm also happy to answer any questions you may have about the community or the current real estate market at any time. Live the beach life! 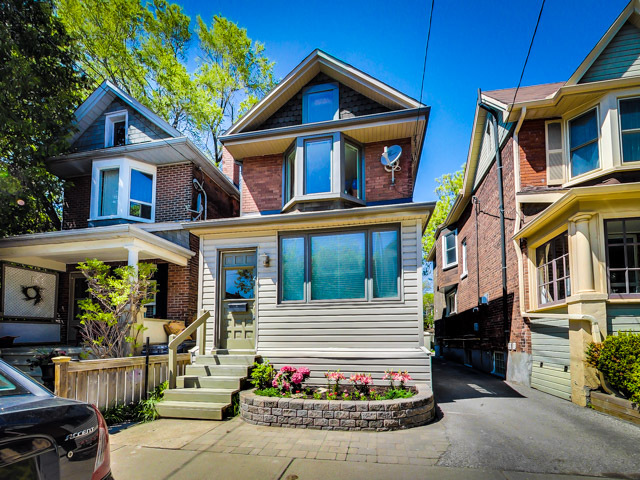 Stunning & charming 3-bedroom, 2-bathroom, 2-storey detached brick family home in prime beach with parking! This property has been very well maintained and updated top to bottom. Spacious gourmet kitchen with extra large pantry and walk out to a maintenance-free hardscaped and landscaped yard with electric awning. Spacious living room and south facing sunroom. Large master bedroom with sitting area by a bay window and 3 double mirrored closets. Refinished hardwood floors throughout. Fully finished basement with apartment potential, tons of storage, laundry room, recreation room, office & kids play area Walk Score 87! T.T.C only 1 minute’s walk! Run, bike, swim, sail, picnic, stroll, play, dine, shop and relax in the Beach. It's all there! Do not miss this one! A must see! Truly turn key!